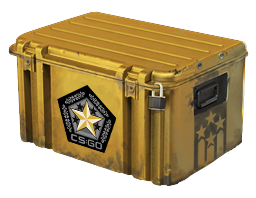 Want to get the Counter Strike Global Offensive Gamma 2 Case Base Grade Container for free? Then why not check your points today to see if you are eligible? This box could contain anything from SCAR-20 Powercore to a outstandingly rare special item, so find out if youâ€™re eligible to get it and find out whatâ€™s inside today. Donâ€™t have the points you need to get the box? Donâ€™t worry â€“ you may still be able to get it through the generous Bananabet lottery. See if youâ€™ve built up the points you need to get the Gamma 2 Case Base Grade Container for free today.